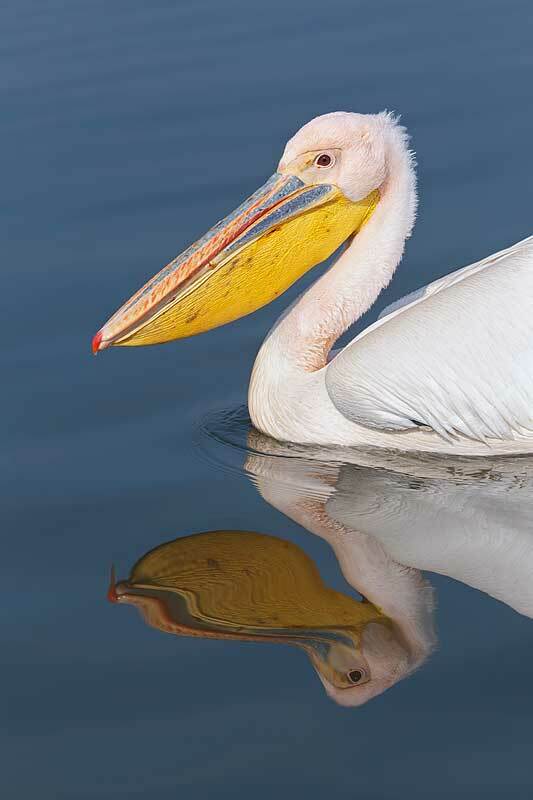 This Great White Pelican image was created at Lake Kerkini, Greece with the Canon 70-200mm f/2.8L IS II lens, the 2X III teleconverter (hand held at 185mm) with the Canon EOS-1D Mark IV. ISO 400. Evaluative metering at zero: 1/1250 sec. at f/8 in Manual mode. Lens/TC/camera body Micro-adjustment: -4. Central Sensor/Rear Focus/AI Servo AF active at the moment of exposure. Click here if you missed the Rear Focus Tutorial. To enjoy viewing a larger sized image, click on the photo. Then click on the enlarged version to close it. As stated in Capture and Beyond Workflow Lessons That You Cannot Afford to Miss, it is important to take care of your RAW files so that when you learn new techniques or learn to work with new software you can go back and re-work some of your favorites. Though I had never optimized this image before the other day it surely benefited from a visit to Color Efex as you can see by viewing the animated GIF below. In the before and after images above note that 50% Tonal Contrast has given the image some pop, White Neutralizer has eliminated the sickly color cast, and Detail Extractor has restored density and detail to the white feathers. I just love the way that White Neutralizer makes the BLUEs in an image sing. As I have been saying, NIK Color Efex Pro has made huge changes in my workflow, made my life easier, and vastly improved the quality of my images. 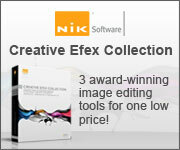 With your cleaned-up image open in Photoshop, hit Filter/NIK Software/Color Efex Pro 4. Click on Tonal Contrast; move the Highlights slider back to 12%, the Midtones slider back to 25%, and the Shadows slider to 12%. Click on the + sign by Add Filter and select White Neutralizer. Leave the sliders at the default settings. Now click on Save Recipe and create a name; I used 50% TC + WH NEUTR. Hit OK after you save your named recipe. Now when I open an image in Color Efex I click on Recipes/Custom and then click on the icon for 50% TC + WH NEUTR. A dialog box will appear and say: “Adding a Recipe will replace all filters currently applied to your image. Would you like to continue?” Before clicking Yes I would suggest checking the “Do not show again” box. If I wish to run Detail Extractor or experiment with any other filters on the list I simply hit the + sign by Add Filer and continue. Details Extractor is great for restoring detail in various areas of an image especially the bright WHITEs. If you wish to tone down the effects I would recommend moving the Detail Extractor to the left. Note: If you want to apply Detail Extractor only to part of your image you will need to apply your Recipe first, reopen the image in Color Efex Pro 4, run Detail Extractor, apply it, and then add either a Hide-All or a Layer Mask to the new NIK layer once the image opens in Photoshop. You can learn to use both types of Layer Masks in the Layer Masking for Dummies section of Digital Basics. OK, you finally convinced me. Just ordered it. I just got back from Egypt and hope it will work on major pollution. Met with the revolutionaries in Tahrir Square. Arrived back with soldiers leaving Afghanistan. Makes me value how good we have got it here despite our problems which seem pretty inignifigant now. Happy Holidays!!! That really is an epic piece of software! The enhancement is almost tangible. The original is a super image, but the final is, woah, I could reach out and touch that beautiful pelican! Can you get adequate results with the 26 filter version or do you recommend the 52 filter full package? Thanks Artie. Just tried in on one of my underwater sailfish images and it made quite a difference! I agree! I recently purchased the software and it has made a dramatic improvement to my bird images. Also love the detail extractor, tonal contrast and the white neutralizer and it is so easy! Artie, Thanks for sharing your recipes. The pelican looks great. I love the reflection of the bill.